This article covers the requirements of becoming a driving instructor, plus advice on starting out, including the advantages of each type of option for your employment. A driving instructor is the only person allowed to teach people to drive for financial or commercial gain (i.e. to charge money for it). To do this you must have an I endorsement on your licence. Each type or class of licence has a different I endorsement, i.e. if you only have an I endorsement for motorbikes, you can’t teach cars or heavy vehicles. You must have held a full licence in the class you want to teach for at least two years. history of persistent failure to pay fines for transport-related offences. For motorbike and heavy vehicle tests, the check will verify your experience in the past five years in relation to the vehicle you’re applying for. This means you may need to provide other evidence such as previous employment details if you were employed as a heavy vehicle driver, or a resume of your motorbike riding experience including, for example, if you belong to an organisation such as the Institute of Advanced Motorists or have completed advanced training courses in motorbike riding and road craft. You will need to demonstrate you have the right to work in New Zealand if you are not a New Zealand citizen. If you don’t pass this you will receive a letter explaining why and you can appeal it at a district court under section 106 of the Land Transport Act 1998. If you are cleared, then you will be allowed to make the final application once you’ve done all the other tests. If you are concerned that your health or eyesight could prevent you from becoming a driving instructor, it pays to get the medical and eyesight checks done before you pay for an approved driving instructor course. you’re requested to by the Transport Agency (regardless of when you last presented a medical certificate). A medical certificate must be from a New Zealand-registered medical practitioner and dated no more than 60 days before the date of your application. Each time you apply for a new licence class or endorsement, or renew your licence you will need to prove that your eyesight meets the required standard. Approved driving instructor courses cover specialist knowledge and skills that instructors need to be able to teach effectively. The course is an NZQA-aligned course with unit standards that can be put towards a national certificate as well as the I endorsement. 20180 – Demonstrate knowledge of hazard detection and responses. Your own driving will be assessed, too, and you will be given a certificate when you successfully complete the course. This must be submitted as part of the application. Having the certificate doesn’t mean that you can start charging for driving tuition yet. You must still follow the procedure outlined above until you have the I endorsement on your licence. Approved course providers can be found by searching online or calling NZTA’s contact centre on 0800 822 422. This doesn’t include the cost of the approved driving instructor course. You can start teaching as soon as you receive your new photo driver licence with an I endorsement on it. The Transport Agency may audit you at any time to check you’re delivering a suitable service, and you must keep records or all driving instruction you’ve provided for at least 12 months after you’ve carried out the training. Once you have your licence you will be able to work as a driving instructor and that gives you several options. You will get the benefit of existing brand recognition, systems and knowledge sharing. You may not have to do all the administration, and you won’t necessarily need to learn about marketing or running the business. The trade-off is that you will be paying part of your hourly rate to subsidise these services. Make sure you know whether you are a contractor or a paid employee with guaranteed hours. If you have a contract, ensure that you have some safeguards with minimum hours. Check also regarding any restrictions of trade. A part-time role could be suitable for someone who wants to earn some extra money because they have another part-time job doing something completely different. These organisations are usually multi-faceted covering a wide range of training. You are more likely to be working in a much larger team and there may be options later on to move up the organisation’s ranks, or develop your skills further. Many of these organisations tend to offer heavy vehicle licences and endorsements (e.g. forklift, dangerous goods, etc), focusing on industry clients. Purchasing a franchise is a low-risk way to start a business. You buy yourself brand recognition and usually a set of franchise manuals which will contain detailed instructions for how to run the business. You may even get advertising templates and other marketing assistance. If the franchiser has a website then you can take advantage of their efforts in search engine optimisation and marketing, although this does leave you without some of the control that a more experienced marketer would want to have. The franchise price is the price you pay for eliminating your risk in setting up a driving instructor school and building its name. The franchiser will want to ensure that you, the franchisee, are capable of running a business and won’t jeopardise their name. If you are comfortable with your ability to run a business and confident you can market it, you will make the most money from running your own business. Ultimately you could employ other drivers, too. Don’t underestimate the amount of work it can take to establish yourself in the marketplace. You will be up against people who are well entrenched in the communities, and bear in mind that families tend to stick with the same instructor if that instructor has done them proud. However, if you have a niche that you can exploit, then you can quite quickly develop a thriving business. For example, you might be multilingual, or you might specialise in taking nervous drivers, or you might have a set of contacts that gives you instant access to a large audience. The expenses of setting up your own school are much less than a franchise, but you will still need to consider the name, branding, website, advertising and marketing. If you can get these done reasonably well, and understand how to drive business using online marketing (e.g. Google AdWords) you can quickly build leads to your driving school. 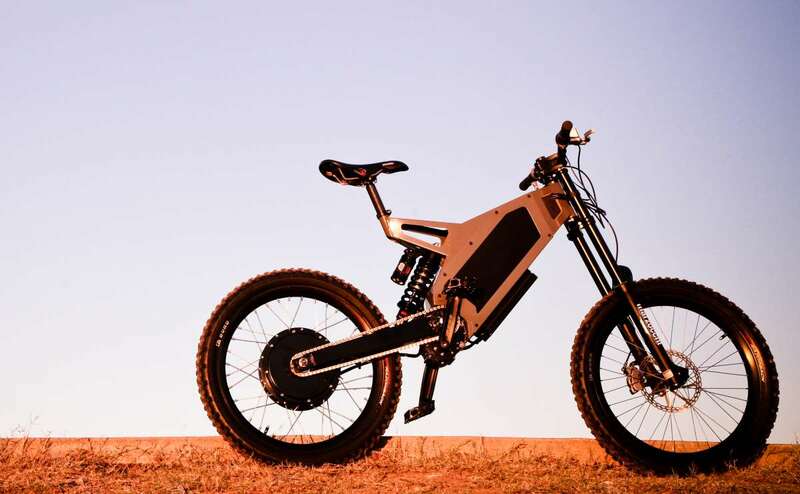 ‹ What’s the maximum power of an electric bike? What’s the maximum power of an electric bike?